The Valley (1984-Present) is the semi-annual magazine for alumni and friends of the College. The full-color magazine features several articles and profiles in each edition and provides extensive Class Notes and Campus News and Information. 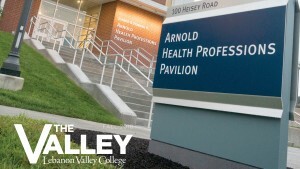 Learn how LVC's expanding health professions programs and the opening of the Jeanne and Edward H. Arnold Health Professions Pavilion will benefit students and society. Anticipating an explosion in healthcare needs, the College has expanded its health professions majors and poured an unprecedented amount of innovation and input into the department’s new academic facility. “The new building will help the College grow, particularly through the recent addition of new healthcare majors, by offering challenging, but fulfilling, careers for our students,” said Jeanne, a former nurse and past vice president at Lebanon’s WellSpan Good Samaritan Hospital. Want to receive The Valley? Contact the Office of Alumni & Parent Engagement to be placed on the mailing list.